Confused about RTOs and RPOs? Fuzzy about failover and failback? Wondering about the advantages of continuous replication over snapshots? Well, you’re in the right place. The Disaster Recovery 101 eBook will help you learn about DR from the ground up and assist you in making informed decisions when implementing your DR strategy, enabling you to build a resilient IT infrastructure. 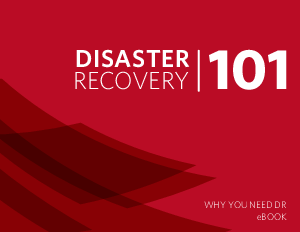 Get your business prepared for any interruption, download the Disaster Recovery 101 eBook now!